Is it warm at your house yet? Here, my daffodils are blooming and the blossoms are already gone from my stone fruit trees. It's felt like spring for a few weeks already. Today, however, marks the vernal equinox. On this day, day and night are equal in length because our planet reaches a turning point in its orbit, and neither the North or South poles are tilted toward the sun. Earth hits the turning point in its orbit where neither the North or the South poles are tilted towards the sun. Here are some ways the first day of Spring is celebrated around the world. Plant seeds to honor someone. In ancient Rome, women planted seeds in the gardens of Adonis. The custom persists in Sicily today, but not in honor of Adonis. Instead, women plant flowers in baskets. When they sprout, the flowers are placed on graves of loved ones on Good Friday as a symbol of life triumphing over death. I like the idea of sharing flowers with friends and neighbors who have recently lost a loved one. Eat some eggs. Eggs represent new life and rebirth, after all (one of they reasons they are symbolic at Easter time). A Chinese tradition says you can balance an egg on the equinox. Is it true? I don't know, but if it breaks, no worries. You can scramble the egg, just like people in Bosnia do for the "Festival of Scrambled Eggs" where eggs are cooked in massive pans and distributed for free. I love the idea of feeding people. Maybe there's someone I can treat to a meal, or I can volunteer at my local shelter. Let go of old resentments. In India, a Hindu tradition welcomes spring with people gathering in the street and throwing colored powder at one another (sort of like the "Color Runs" we do in the US where you toss colored powder at joggers--and the joggers pay for it!). It's also a time to forgive, which is a great idea no matter where you are. Read, Write, and Encourage Reading and Writing. Did you know the vernal equinox is World Storytelling Day? Me neither! But what a fun idea! Celebrate literacy, read to a child, and thank God for His Word! Spring Clean. This isn't a vernal equinox tradition, like visiting Stonehenge or Chichén Itzá in Mexico, both of which were built thousands of years ago to map the movement of the sun. But it's a spring tradition, one I intend to tackle. My house desperately needs a good cleaning, but so does my heart. Why not use this time--which happens to be Lent, by the way--to take a good look at our hearts and pray for ways to better serve God? Easter is coming soon. Let's use the time to prepare our hearts, homes, and thoughts for the celebration of Jesus' Resurrection! Susanne Dietze is the author of a dozen historical romances, including The Reluctant Guardian and My Heart Belongs in Ruby City, Idaho. 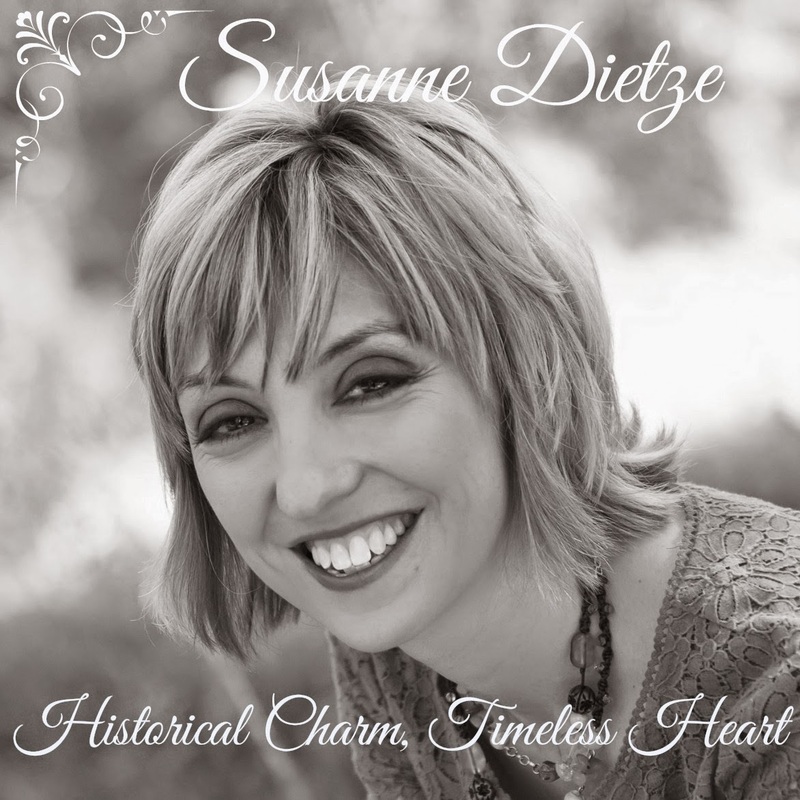 You can learn more on her website, www.susannedietze.com. This is great! Great advice and great pictures. I LOVE that happy little lamb at the top. I love that lamb, too. So adorable! Such a perfectly-timed shot! I did the 'eat eggs' thing because it's my favorite 'on deadline' menu. Fried egg sandwich. I hope that counts! In a climate like mine, spring is just an amazing time of year. It may be muddy, cold, and dirty, but there's an excitement in people because we know winter is losing its grip! Yay for eating eggs! I didn't...I made broccoli cheddar soup. Oh well. It's always so exciting when things start to bud and bloom. I love the color of tender new leaves.